Hadiya had written to her father, expressing her anguish over the petition. She had rejected her father’s allegation that she was made to convert to Islam for recruitment into the Islamic State. The bench of Chief Justice of India J S Khehar and Justice D Y Chandrachud issued notices to the National Investigation Agency, the government of Kerala and the girl’s father K M Ashokan on a plea filed by Shefin Jahan, to whom the woman was married. In May, the Kerala High Court annulled the marriage on a plea filed by the woman’s family. 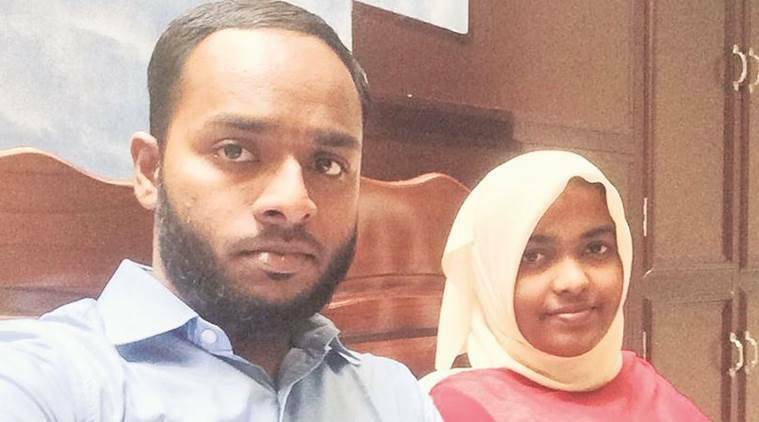 The court turned down Jahan’s request for a direction to produce the woman, Hadiya (Akhila before her conversion), immediately and said it would do so if needed after going into the facts. “If there is a need, we will. Now it’s not necessary,” CJI Khehar told senior counsel Kapil Sibal and Indira Jaisingh who appeared for the petitioner. “There is far more than meets the eye…very serious facts. We will examine the facts,” the bench said. Ashokan had alleged that Jahan (27) was trying to take his daughter, a medical student, away to Syria and filed a Habeas Corpus petition. Hadiya (24) was produced before the court, which sent her to a hostel while ordering a police probe. The police ruled out her chances of moving to Syria. Hadiya had written to her father, expressing her anguish over the petition. She had rejected her father’s allegation that she was made to convert to Islam for recruitment into the Islamic State. But the high court annulled the marriage. Jahan filed the petition challenging the judgment invalidating his December 2016 marriage. The court had given Hadiya’s custody to her father against her wish, he contended. Sibal on Friday said that the police had cordoned off her house and no one from outside was allowed to meet the woman. “The best option for the court is to interview her in chamber,” said Jaisingh, pressing the court to direct that she be produced in police custody. The bench then directed Ashokan’s counsel Madhavi Divan to place on record all documents related to the matter. “The high court has interviewed her and they have said she was not able to give coherent answers,” Justice Chandrachud said.